A billion dollars here, a billion renminbi there, and pretty soon you are talking about real money being spent to develop China’s mobile-commerce market. Last month, Alibaba Group and Ant Financial Services Group said they would spend nearly $1 billion on a joint venture aimed at growing the market in China for local services that can be ordered and paid for using smartphones. To back up that effort, Alibaba today said it would sink RMB 1 billion ($161 million) into an investment fund to encourage independent software developers to build a new generation of smartphone apps that leverage the ecosystem of China’s largest e-commerce company. Along with financial support, Alibaba today unveiled a new program, dubbed Shengyi 1.0, that offers local-services app developers technical tools and other forms of support. Alibaba wants independent app-makers to incorporate a range of Alibaba technologies such as location-based services, targeted marketing and online payment into apps for so-called “on-demand” local services. The goal is to make smartphones central to the consumption of everyday services from booking car repairs to buying movie tickets to ordering take-out lunches. The development program could even help developers introduce consumer credit to local-services apps—Alibaba’s affiliate Ant Financial this year launched a credit-scoring system called Sesame Credit. Alibaba, which owns China’s dominant e-commerce websites, is hoping to ride China’s booming mobile Internet into new markets beyond conventional online shopping. 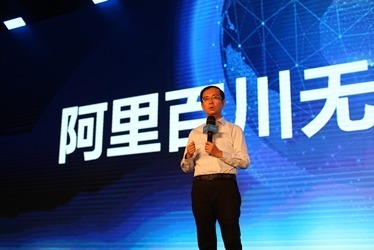 At a software developers conference held today in Hangzhou, China, Alibaba Vice President Wang Xiruo said the business model for the stand-alone shopping website is “outdated in the era of the mobile Internet.” Alibaba expects the e-commerce industry to move toward more specialized mobile apps that can “tap into niche markets and meet local users’ customized needs and demands,” Wang said. “I have seen lots of mobile applications recently, from raising pets to online groceries to seeking babysitters,” added Alibaba Group CEO Daniel Zhang, who also spoke at the Alibaba conference. “Each app is recreating a scenario and reshaping the value chain. You can hardly adopt a single business standard or service type to define e-commerce today. “Diversity is the charm of the mobile Internet and it means great opportunities,” Zhang said. One such app, highlighted at the conference, is Aiqianggou (literal translation: seeking bargains). The app’s users are able to identify special promotions going on in nearby stores, locate those stores and pay for merchandise with their smartphones–as well as share information on bargains with friends through social media to qualify for special discounts. The app relies upon location-based services supplied by Alibaba’s AutoNavi subsidiary and incorporates Alibaba’s online transaction and payment systems, customer-relationship management system and other services that support online-to-offline e-commerce. Launched 28 months ago, Aiqianggou has three million users and partnerships with more than 20,000 merchants, according to Lei Yong, CEO of the app’s development company. To build a large base of successful mobile apps, Zhang today announced the establishment of a RMB 1 billion ($161 million) fund to provide start-ups with investment capital, and a RMB 1 billion ($161 million) low-interest loan program offered by Alibaba’s affiliate Ant Financial. In addition to capital and credit, Alibaba plans to provide developers with training through workshops scheduled to be held several times a year. Both the financial support and the Shengyi 1.0 program are part of Alibaba’s Baichuan initiative, a larger effort that debuted last year to support mobile-app developers. So far, more than 10,000 mobile developers have joined Baichuan, according to an Alibaba press release. Some 600 mobile applications have been launched under the program, apps that have been downloaded to 115 million mobile devices.